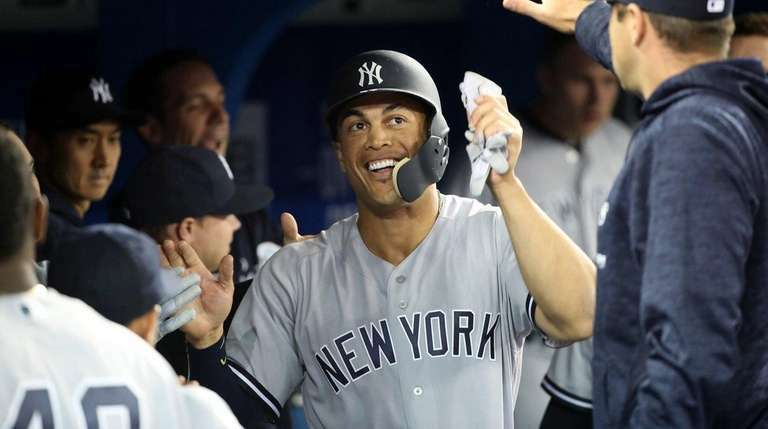 Watch all of Giancarlo Stanton's home runs in his first season with the Yankees.
.@Giancarlo818 demolishing baseballs in the Bronx. We don't want to say Girardi was right, so we'll show you he was. Giancarlo Stanton smashes this one! Giancarlo Stanton knows there's still more damage to do.